I adore handmade cards and I love making them each year and mailing them out to friends and family! This is the card I created for this year and I have to say it's one of my favorites. But the idea was not mine, I actually was inspired from a very talented paper crafter, Laurie with Stamping Up North. She created the card below last year with a stamped sentiment. 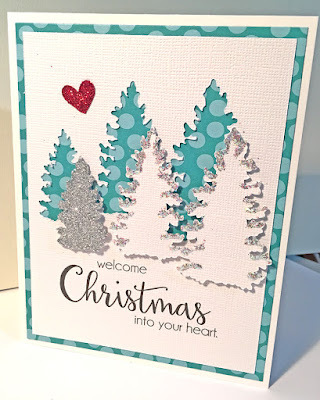 I do not typically do stamped anything and knew I could create the same look with my favorite crafting too, my PRINTER! I love using my Canon PIXMA iP8720 Crafting Printer for this technique because of the way the paper feeds into the printer (I'll explain below). First, I had to cut the trees out of white cardstock using my Silhouette electronic cutter. You can cut your trees out using other electronic cutters, metal dies or punches. But how do you get the sentiment on the paper?? 1. Design your sentiment on a full 8.5x11" sheet of paper and print out on regular paper. 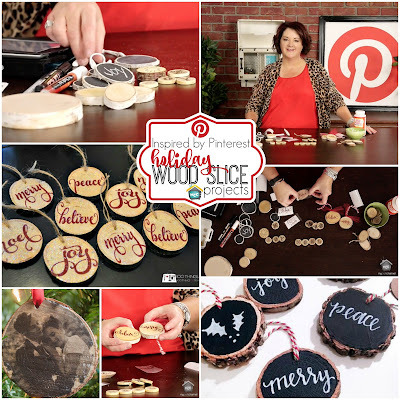 Join me for Inspired by Pinterest at My Craft Channel as I share some creative ways to use those wood slices in your holiday decorating. I will share pins on how to personalize these in a variety of ways. 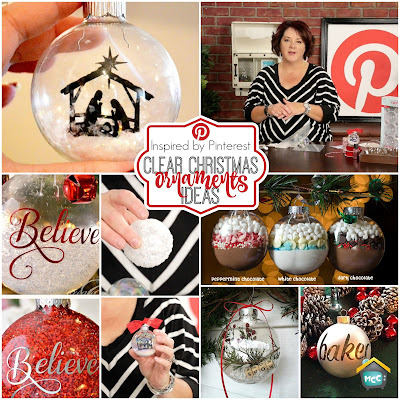 Join me for Inspired by Pinterest at My Craft Channel as I share some creative ways to decorate with clear holiday ornaments. 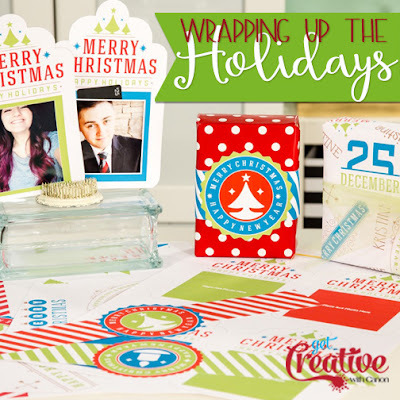 Whether you are filling them on the inside or decorating the outside you will love the pins she's gathered up for last minute ornament exchanges or simple neighbor gifts. Be sure to check out my older episode "Glitter Cups" HERE to learn how to add glitter to the inside of your ornaments using Pledge Floor Care product. 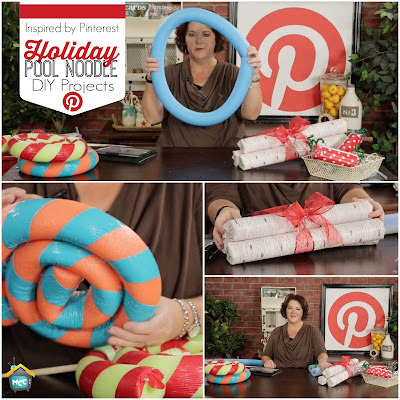 Join me for Inspired by Pinterest at My Craft Channel as I share creative was you can use pool noodles for your holiday decor products. They're an inexpensive option for some pretty crafting ideas that Lori will feature in today's episode. 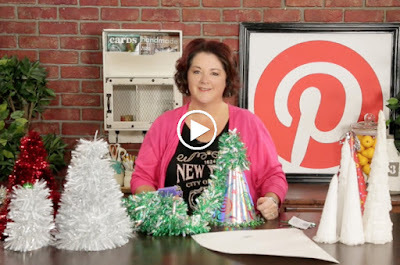 Join me for Inspired by Pinterest at My Craft Channel as I share inexpensive and simple ways to create some holiday trees out of paper and garlands.